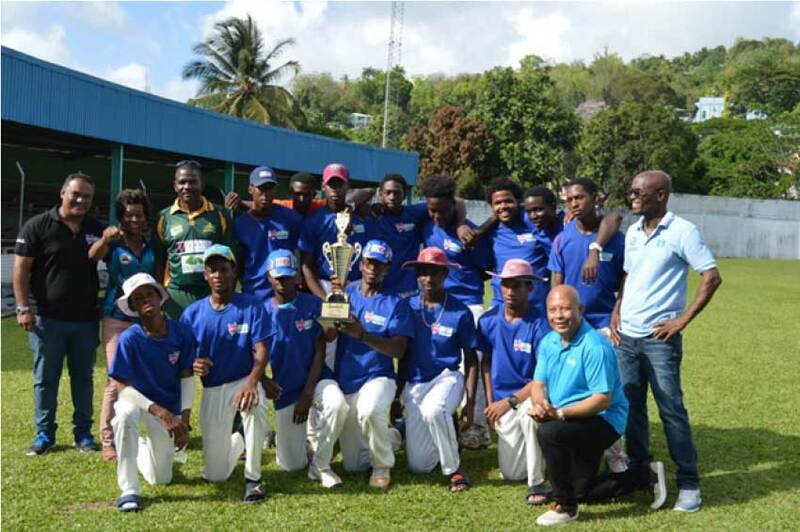 The second annual Saint Lucia National Cricket Association / Sandals Saint Lucia sponsored “Sandals Under- 19 Cricket Cup” bowls off next weekend (Sunday 14th April) at six venues around the island. This was announced by Vice President of the Saint Lucia National Cricket Association, Shawn Alcindor on Thursday morning during a press conference held at Sandals Halycon to launch this year’s tournament. 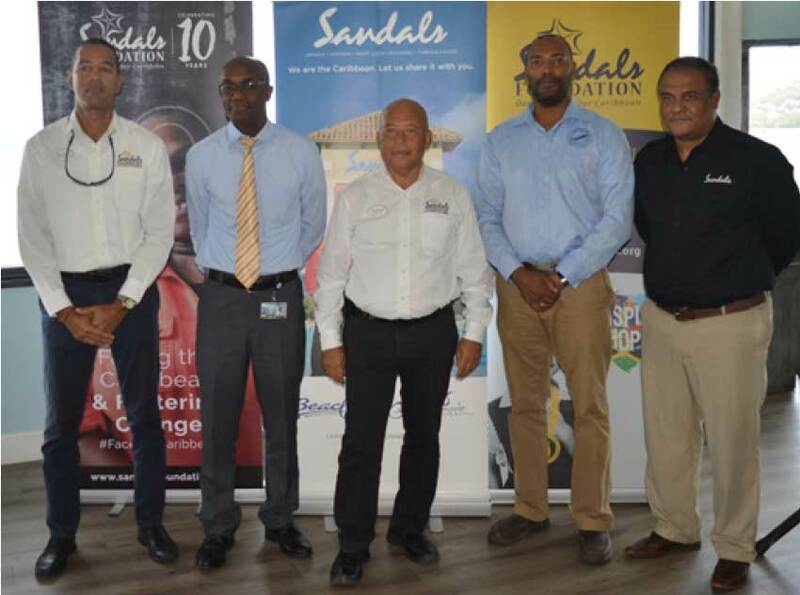 Present were Sandals Managing Director – Winston Anderson, Sandals Halycon General Manager – Chris Elliott, Sandals/ Caribbean Public Relations Manager – Sunil Ramdeen and Saint Lucia National Cricket Association President and 1st Vice President, Julian Charles and Shawn Alcindor. In the first round of the competition defending champions, Gros Islet play Babonneau at the Gros Islet Playing Field. Anse la Raye will battle it out with South Castries at the Mindoo Phillip Park, while Dennery comes up against Mon Repos in their home community. The Micoud versus Vieux Fort North match will take place at the Phillip Marcellin Ground (Vieux Fort), and Vieux Forth South will play Choiseul at the Piaye Playing Field. Though a venue has not been decided yet for the encounter between Soufriere and Laborie, it is likely that the teams will face-off in Laborie. All matches bowl off from 10 a.m. The semifinals and finals of this year’s tournament will take place at the Daren Sammy Cricket Ground on Sunday 5th May allowing the players to play on the best facility on island. Twelve teams will do battle for supremacy in a round robin format in four Groups. The twelve confirmed teams are – Group 1: Babonneau, Gros Islet, Central Castries; Group 2: Anse la Raye, South Castries, Mabouya Valley; Group 3: Dennery, Mon Repos, Micoud, Vieux Fort North and Group 4: Vieux Fort South, Choiseul, Soufriere and Laborie. He continued, “Through the Sandals Foundation, we are proud to have partnered over the years with so many local sporting organizations to ensure the young women and men have what they need to succeed. It is not easy and we know in order to see the success we want to see, we have to continue to be a good partner to the people, especially the young adults in Saint Lucia. Recently, Sandals donated over $5000 to a football excellence camp which was a resounding success. “We stand proud to continue our support for Saint Lucia’s young cricketers; this sponsorship we hope will not only raise the profile of the game but provide a springboard for some of our young players to gain national/regional selection and to play on the international stage. Sandals are the principal sponsors of the West Indies senior team, and therefore we would love nothing more than to see some of our young players make that leap,” said Anderson. According to Charles, with the assistance of the Sandals Academy, Saint Lucia has produced a lot of players. He added, “We also have young Ackeem Auguste and Garvin Serieux on the senior Saint Lucia team in Saint Vincent and the Grenadines; they are not there because they are young, they are talented, they earned their pick, and they are some of the hardest working cricketers on the island. We have no doubt in our minds these young players will continue to excel. “In the reserves, we have Simeon Gerson and Keygan Arnold. The four players mentioned will participate in this year’s Sandals U-19 Tournament. The standard will be very high indeed and the SLNCA is appealing to members of the public to give all the support they can, monitor the fixtures and turn up to see those games at the various venues. These are very talented players who not only want to play cricket in Saint Lucia, but clearly, want to make international careers. They have been at it for the last 10 years and we have no doubt they will perform,” noted Charles.